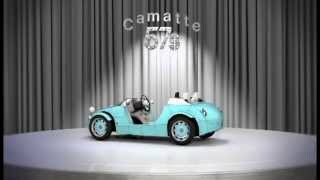 Toyota will be showcasing a sporty, open-top family-focused concept car called the Camatte57s Concept in the Kids Life Zone at this week’s International Tokyo Toy Show 2013 from June 13 to June 16. The car is designed with a goal to bring the family together and share ideas to build the ideal car. It will help youngsters in choosing the shape and look of a car, helping them to learn more about the fun aspects of motoring. 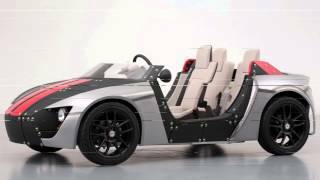 Build up on Toyota’s original Cammate concept, shown last year, the Camatte57s body is made up of 57 small, lightweight, detachable panels that can be finished in a wide choice of different colors and designs. Children can also drive in appropriate, safe places, off the public highway as the pedals and seats can be adjusted. They can get help from adults with steering and braking thanks to the position of the right-hand rear seat. The Toyota Camatte57s is 3,000mm long by 1,440mm wide and 1,000mm high and can accommodate three people (one front seat and two rear seats). 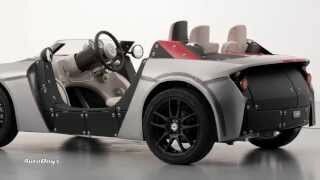 It will be powered by an electric motor. The output of the motor has not been disclosed.